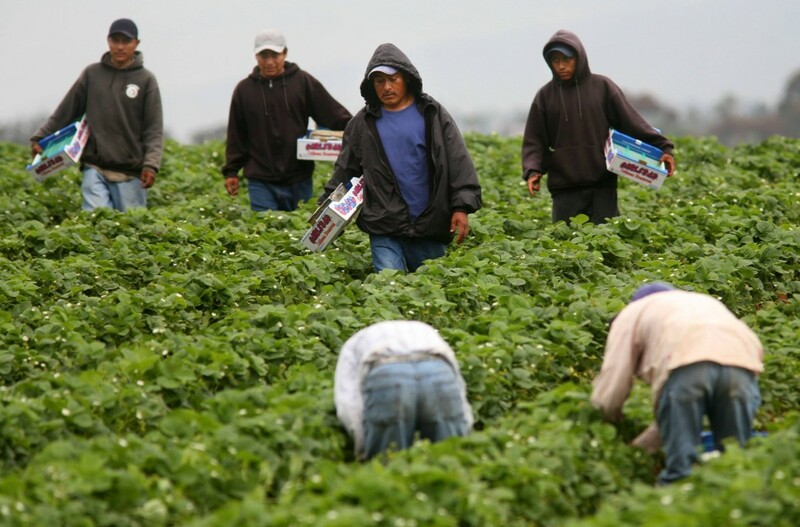 One of the many new laws that went into effect on January 1, 2014 will operate to protect the rights of undocumented workers in California by punishing employers who use threats of deportation to retaliate against employees who complain of unsafe working conditions, sexual harassment and other civil rights violations. SB666, drafted by Sen. Darrell Steinberg (D-Sacramento), came into effect this year and makes it illegal for an employer report (or threaten to report) an employee’s immigration or citizenship status in retaliation for that employee complaining of unsafe working conditions, sexual harassment, or “otherwise attempting to exercise his or her rights in the workplace.” This protection also extends to the immigration status employee’s family members as well. Employers and businesses who violate this law will be subject civil penalties up to $10,000 per incident as well as a possible business license suspension or revocation. This type of protection is much needed, as California’s undocumented workers are constantly subject to dangerous or unsanitary working conditions. Most undocumented workers are denied overtime pay, meal and rest breaks and are often paid much less than minimum wage. Additionally, as many as half of all female migrant workers are the victims of rampant sexual harassment or violence due to the fact they are openly discouraged and threatened with deportation for reporting any abuse to law enforcement. With the aid of Senate Bill 666, undocumented workers will have the confidence to come forward and be heard, instead of silently enduring the many unlawful business practices outlined above. As an employment attorney, I can attest to the fact that many employers love to use an employee’s immigration status as leverage to quash complaints of unsafe working conditions or mistreatment. These unscrupulous employers will purposefully hire undocumented workers so they can pay them less than minimum wage and skirt other State and Federal labor laws (a.k.a. wage theft) which can end-up translating into thousands (or even millions) of dollars back into their own pockets. This, of course, creates a positive feedback-loop that incentivizes other employers to start hiring and mistreating undocumented workers as well. One of the most interesting (and much needed) parts of SB 666 is its provision that also punishes attorneys who report or threaten to report the suspected immigration status of parties or witnesses to litigation. This is a very common litigation tactic used by defense attorneys in employment litigation as a means to both bully and scare plaintiffs into dropping their case. Attorneys will usually try and delve into a plaintiff’s immigration status during a deposition (which they make every effort to turn into a full-blown interrogation) in an attempt to catch the former employee off-guard and scare them into thinking they will be arrested or deported if they continue with their case. Without without SB 666, attorneys didn’t have much to protect their clients from this kind of unethical practice, but I think it’s safe to say that defense counsel will be far less likely to engage in this scare tactic if they must risk their bar license to do so. Still, it couldn’t hurt for employment attorneys to seek the advice of an immigration attorney or family law attorney before representing an undocumented worker – in other words, hope for the best but prepare for the worst. Thankfully, SB 666 makes the best result the most likely one.